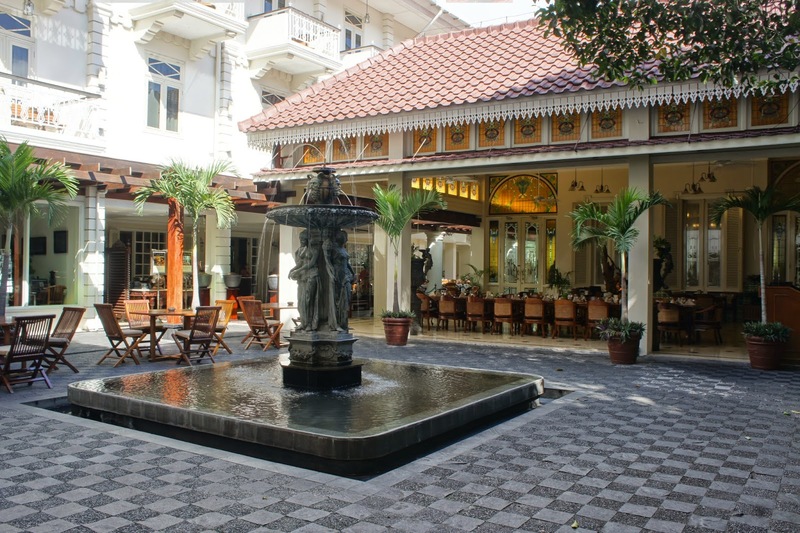 The hotel is conveniently located in the heart of Yogyakarta, in Malioboro district and is close to a number of sites around Yogyakarta and eateries. 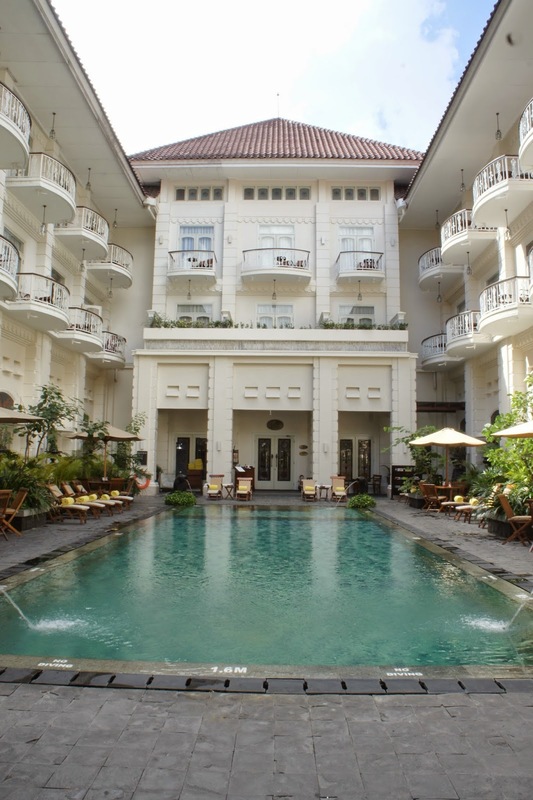 It is within walking distance towards the city centre and the Tugu Railway station. 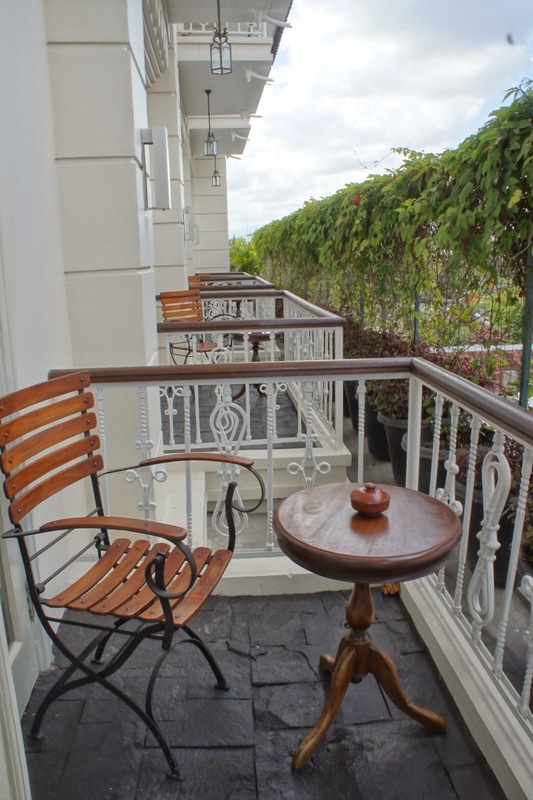 The hotel is located in the quieter edge of the city and is a great area to be near the city but not in the midst of the busyness of the city. Entering the room, we were welcomed by the contemporary decor of the room. 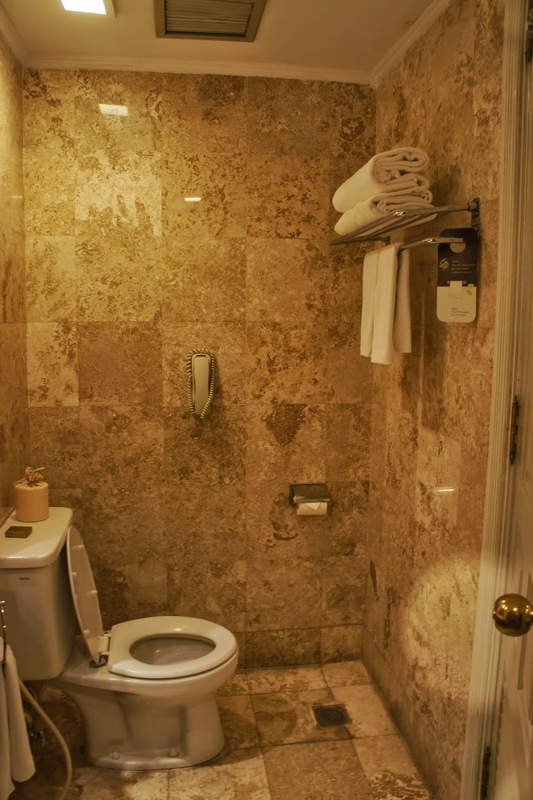 As with many hotels around the world, the bathroom is near the entrance of the room. The well decorated room feels cozy, decked out with mostly yellow golden colours. The double bed room that we were assigned opens up to the main bedroom passing the corridor with the bathroom to the right of the entrance. The tastefully designed room, though not too big, but does not feel cluttered with too much furniture. The furniture in the room are functional and does not have any piece that felt out of the way. The beds are placed in front of a TV console enables guests to watch TV while lazing on their beds. Further into the room is a small coffee table, where a plate of fruits welcomed us. Beside the table is a single seater couch for guests to relax in should they choose not to lie on their beds. The sleep quality on the bed is fantastic, giving guests a great night’s sleep. The minibar and drinks area is located opposite the entrance to the bathroom. The mirrors in front of the minibar creates a sense of spaciousness. 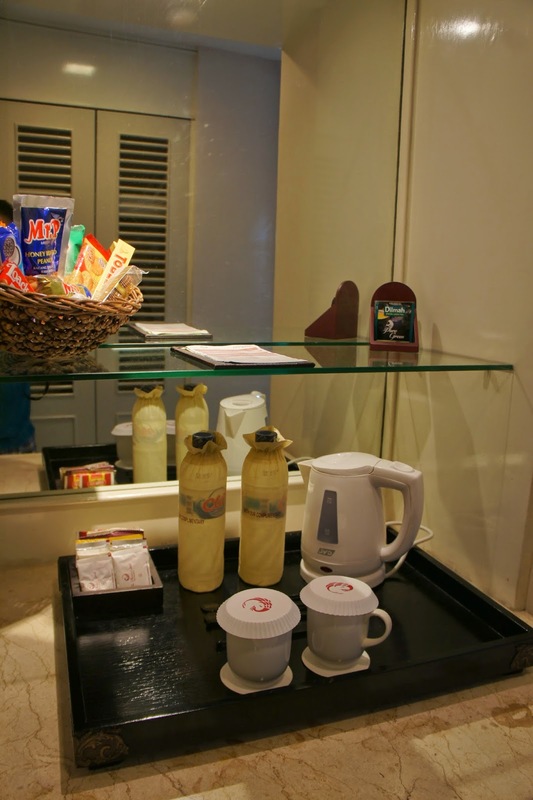 The minibar is where one would be able to find complementary coffee and tea and a tea pot for one to boil water in. The fridge is where one would find drinks like soft drinks and some liquor. There are also a couple bottles of mineral drinks for guests to stay hydrated. 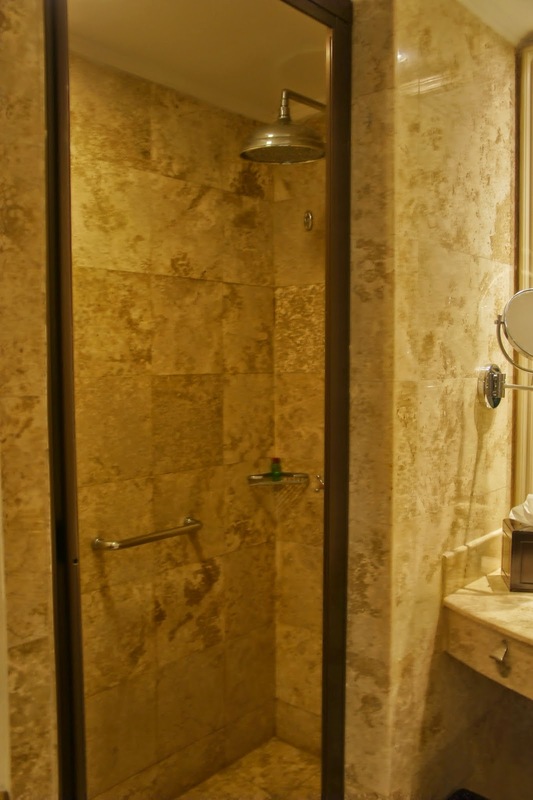 The bathroom is decent in size, decked in brownish marble. It does not come with a bathtub. Upon entering the bathroom, one can find the toilet bowl to the right of the door. To the left of the door is where the sink is located. 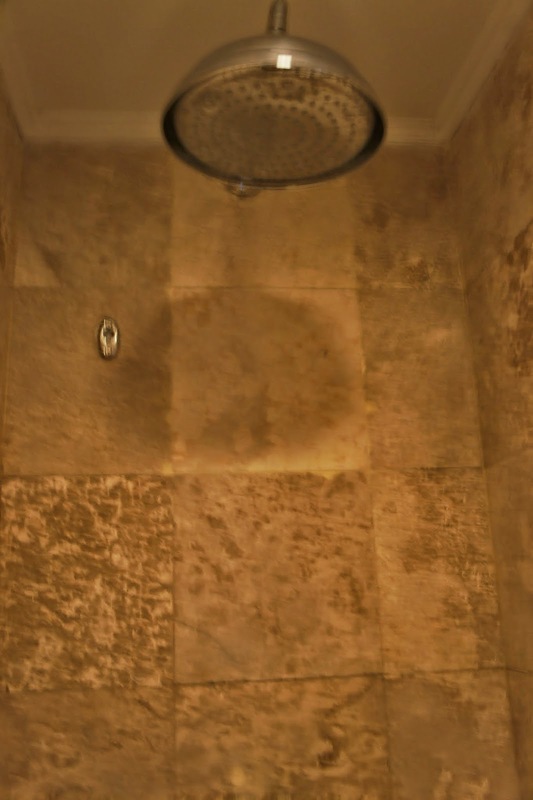 One can find the walk-in rain shower, which provides great pressure and certainly gave me a great shower. 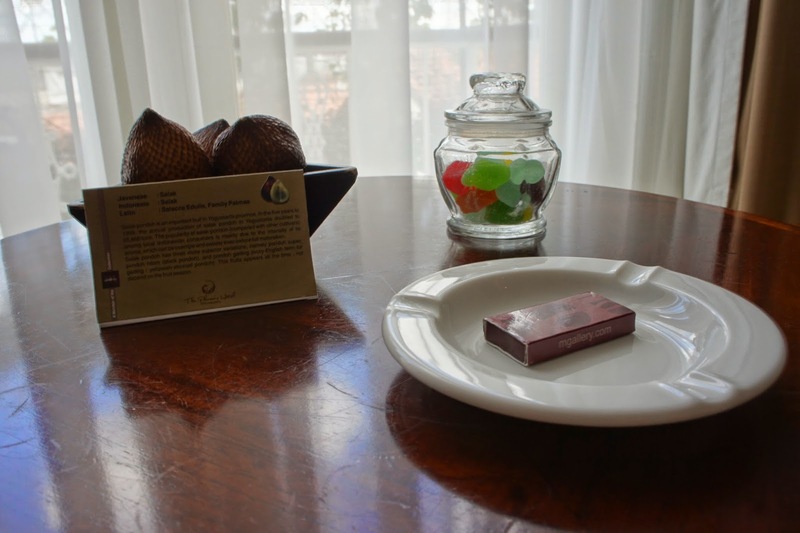 The hotel seemed to be a museum in itself, displaying a number of colonial collections throughout the hotel. 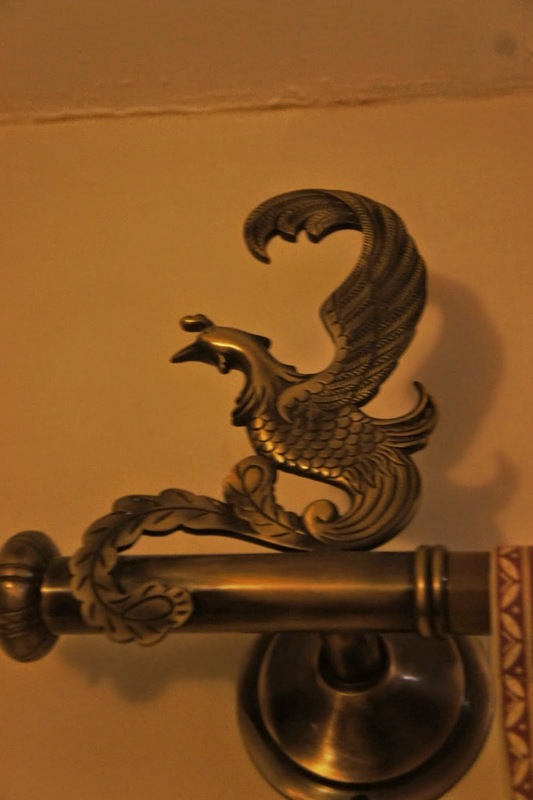 The phoenix theme is apparent throughout the hotel and even in the guest room. 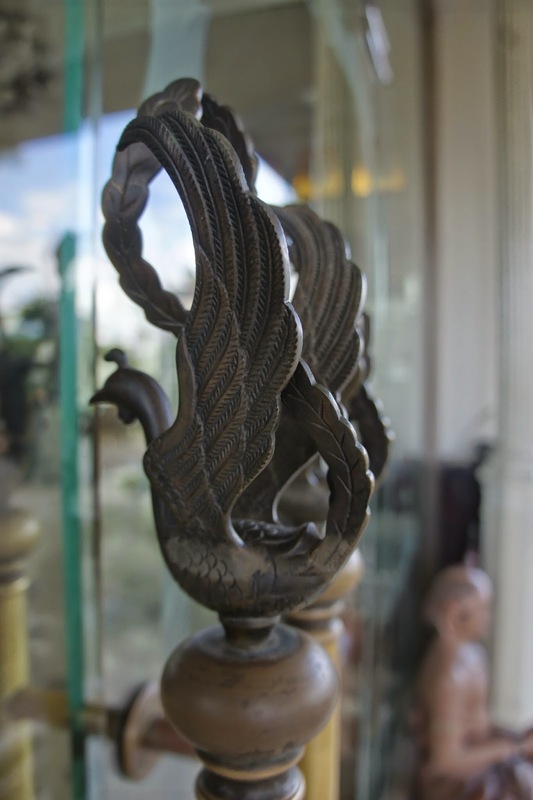 One can find sculptures of phoenix on door handles and even on the curtain bar above the bed. There is a room next to the lobby for guests and visitors to understand a little more about the history of the building the hotel is in and the area around the hotel. 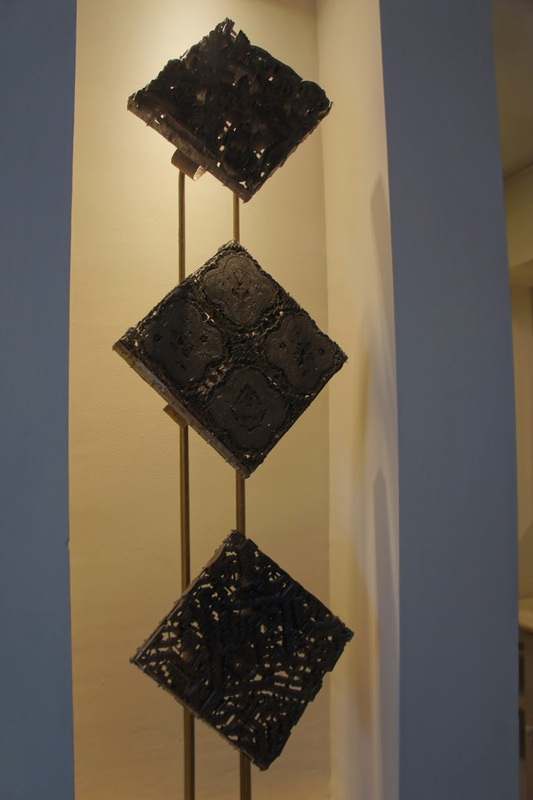 Relics and displays of Indonesian origins spread across the hotel grounds and it is not difficult for guests to spot hints of Indonesian history by walking around the hotel. The service rendered by the front desk staff is amazing. 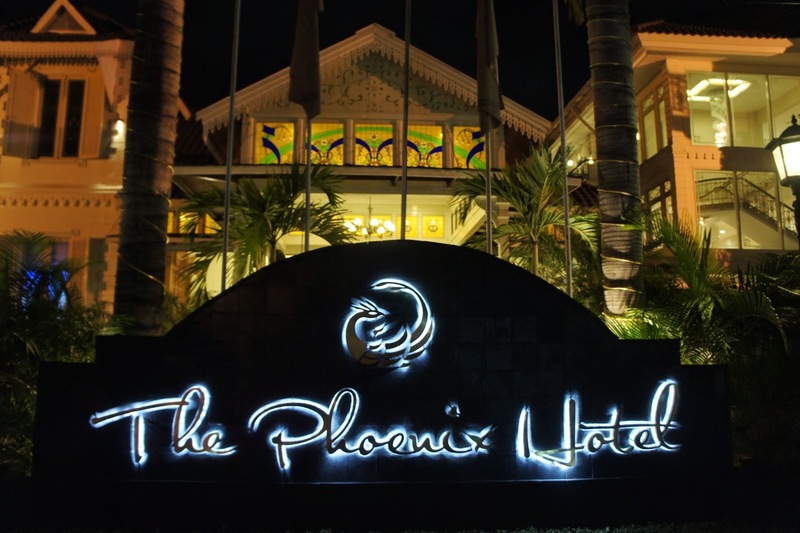 One can feel the warmth of the welcoming staff upon checking in, who are never stingy with their smiles. 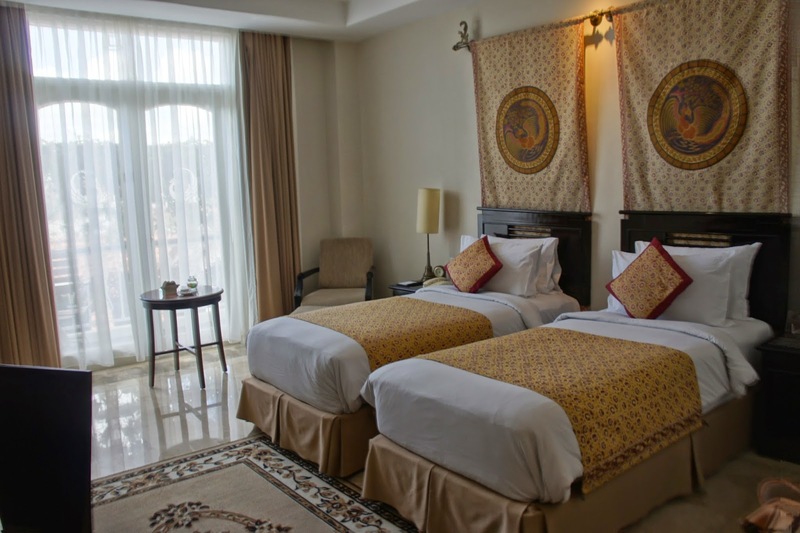 The well-groomed staffs paid attention to details and was never stingy in sharing information about the hotel and the surroundings around the hotel. The front desk staff even gave us advise on saving for transfer to the airport upon our checking out and advised us on how much to pay for the trip to the airport. They even helped us hail a cab to the airport. The restaurant staffs were amazing in their service as well, taking care not to cross in front of the customer, even to the extend of walking a few paces beside the customer to place their food. Having said that, the staffs in the gift shop lack service standards though. They seem more interested in playing on their mobile phones and reading then noticing guests or even serving guests. I was interested in getting some items in the shop, the cold shouldered staffs does not even seem to know their merchandise well and gave me the impression of “do not disturb me”. 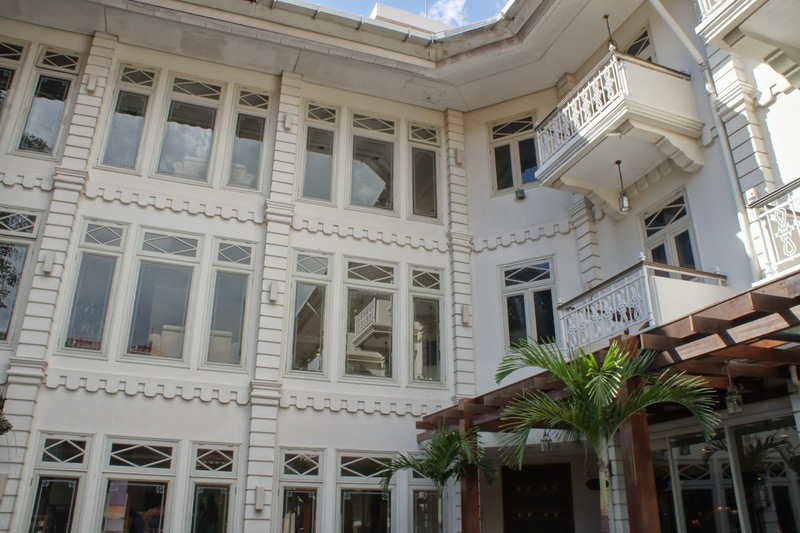 The hotel is located at the edge of the city, but is within walking distance to most of the attractions around. 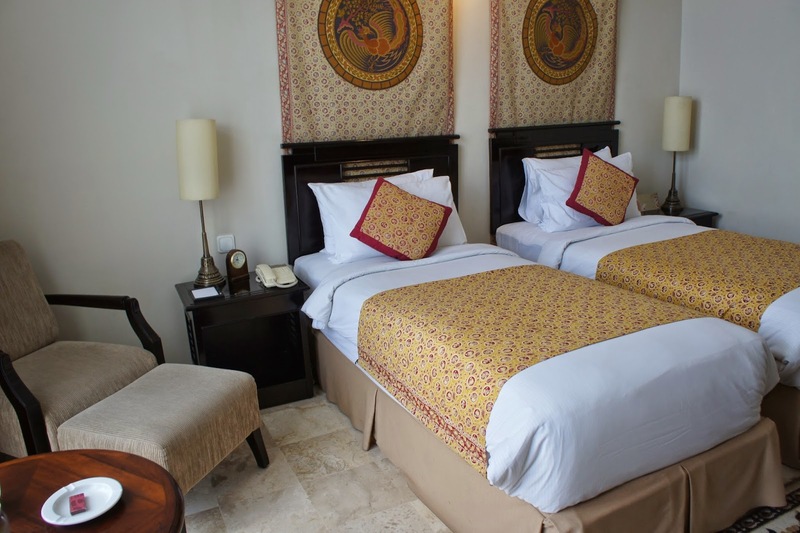 The rooms are well decorated and cozy and provides a good night sleep for patrons. Generally the service of the staffs are excellent except for a few black sheep in the gift shop.